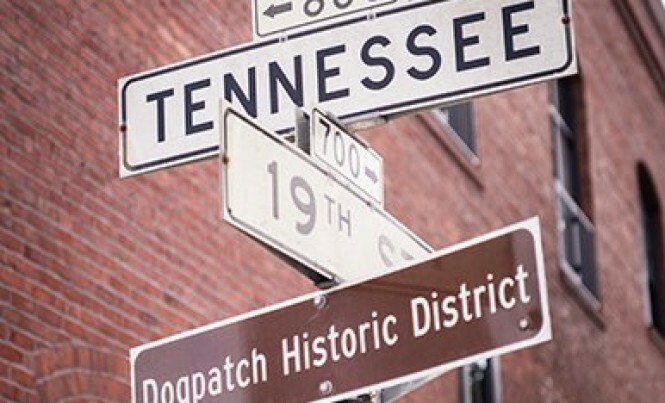 The Central Waterfront/Dogpatch neighborhood is a certified historic landmark district that has been revitalized and restored, resulting in a trendy and magnetic hotbed for artists, entrepreneurs, creative professionals, and restaurateurs. The Central Waterfront and Dogpatch region is home to some of the oldest buildings in the city with development dating back to 1860 when the area became the focus of a booming industrial economy. Thanks to its then-isolated location and protection from the marshland that surrounded it, the entire area managed to escape the disaster of the 1906 earthquake and fire that swept most of the city away, preserving architecture that can still be found standing today. Dozens of rare and architecturally significant buildings and homes are scattered throughout the neighborhood, which has been filled in with modern live-work lofts and contemporary and luxury condominiums. Walking the streets of this charismatic district you can find dozens of unique eateries, breweries, chocolatiers, butchers and artisan retailers along with the original Dogpatch Saloon that has been serving the community since 1912. Accompanying the Victorian homes, trendy cafes, and destination restaurants is the renowned Dogpatch Studios, a premiere event rental space and photography haven as well as Water Cove Park offering walking paths, viewing benches, and restaurants with outdoor seating that fills up quickly. If you are looking to own a piece of San Francisco history in a charming and lively creative neighborhood, Central Waterfront and Dogpatch is for you.